I was just listening to the soundtrack of Amélie (i.e. 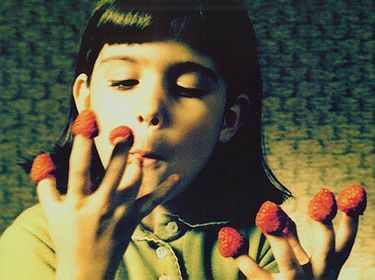 Yann Tiersen). Honestly, there are few films that I love as much as I love this one, and usually when I listen to music over and over again, I can no longer hear it after a while. Not so with Yann Tiersen’s songs. I was 10 when I watched the film for the first time and all I remember is coming out of the cinema saying ‘what a bad film‘. Obviously, I was a child and didn’t understand the plot. Although it’s regarded as a romantic comedy, it’s much more than that! It’s a witty story full of humour, love and sadness. It’s amazing how Amélie looks at things differently, how she regards every (odd) detail, the little things no one else notices. I can only recommend film & music! This entry was posted on 06/05/2011 by G in Vidoes/Movies and tagged film, French, music.